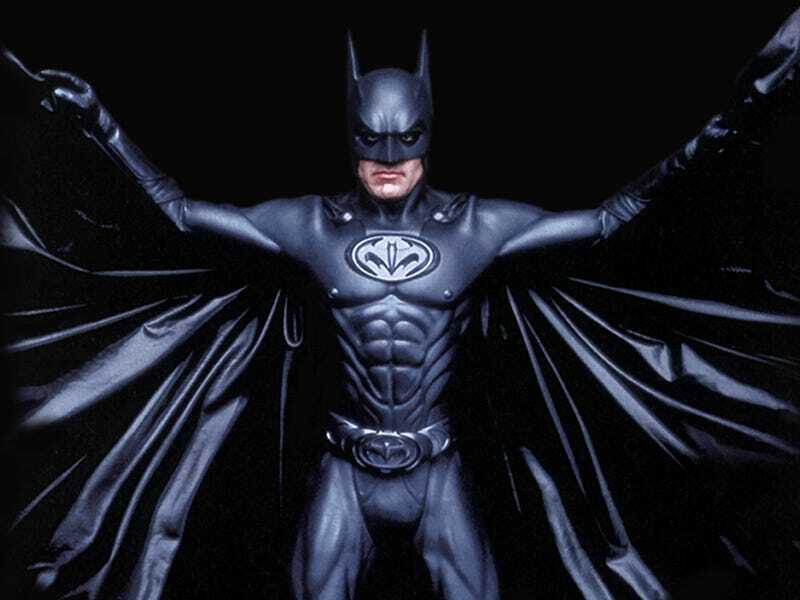 Lots of actors regret taking on one role or another — but few go as far as George Clooney, who actually hangs a picture of himself as Batman prominently in his office to remind himself what happens when you make a movie for purely commercial reasons. This fascinating Clooney tidbit comes out in a new Deadline interview, where Clooney spars with hedge fund investor Daniel Loeb, who has a stake in Sony and is upset that Sony lost money on After Earth and White House Down, which he called "2013′s versions of Waterworld and Ishtar." Loeb wants Sony to spin off its entertainment division into a separate stock, citing an upcoming slate of releases that includes RoboCop, Amazing Spider-Man 2, and the next James Bond movie as "bleak" and rife with overspending. I’ve been reading a lot about Daniel Loeb, a hedge fund guy who describes himself as an activist but who knows nothing about our business, and he is looking to take scalps at Sony because two movies in a row underperformed? When does the clock stop and start for him at Sony? Why didn’t he include Skyfall, the 007 movie that grossed a billion dollars, or Zero Dark Thirty or Django Unchained? And what about the rest of a year that includes Elysium, Captain Phillips, American Hustle and The Monuments Men? You can’t cherry pick a small time period and point to two films that didn’t do great. It makes me crazy. Fortunately, this business is run by people who understand that the movie business ebbs and flows and the good news is they are ignoring his calls to spin off the entertainment assets. How any hedge fund guy can call for responsibility is beyond me, because if you look at those guys, there is no conscience at work. It is a business that is only about creating wealth, where when they fail, they get bailed out and where nobody gets fired. A guy from a hedge fund entity is the single least qualified person to be making these kinds of judgments, and he is dangerous to our industry.